The venue of Jurček Pavilion at the GR – Ljubljana Exhibition Convention Centre was turned into the innovative cuisine at yesterday’s event, where new acquaintances and business arrangements were made. 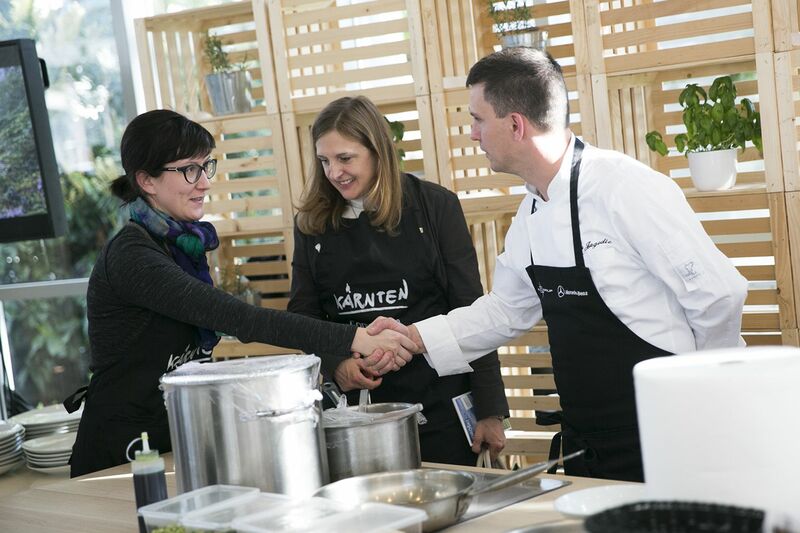 Carinthia Convention Bureau prepared an event for selected event organizers from Slovenia in cooperation with Toleranca Marketing agency, where a real culinary team bonding happened for the first time. 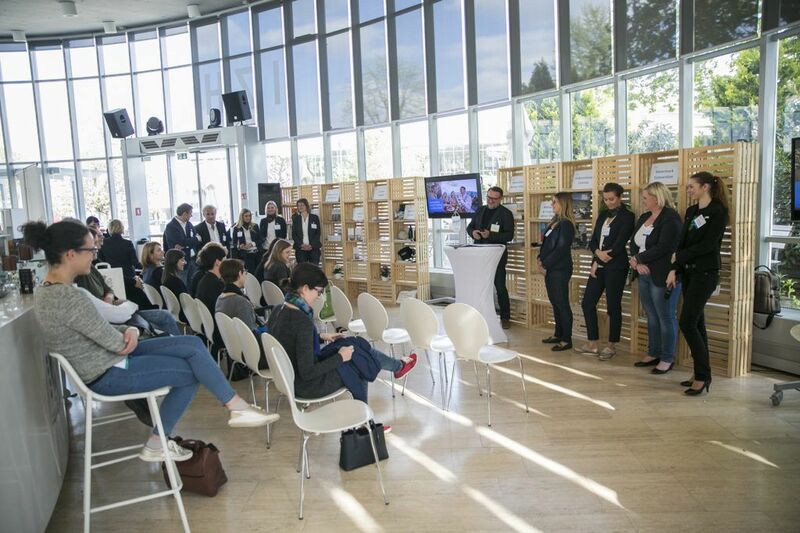 More than 20 Slovenian event organizers from agencies and companies as well as representatives of the 9 congress providers from Carinthia gathered at the venue. 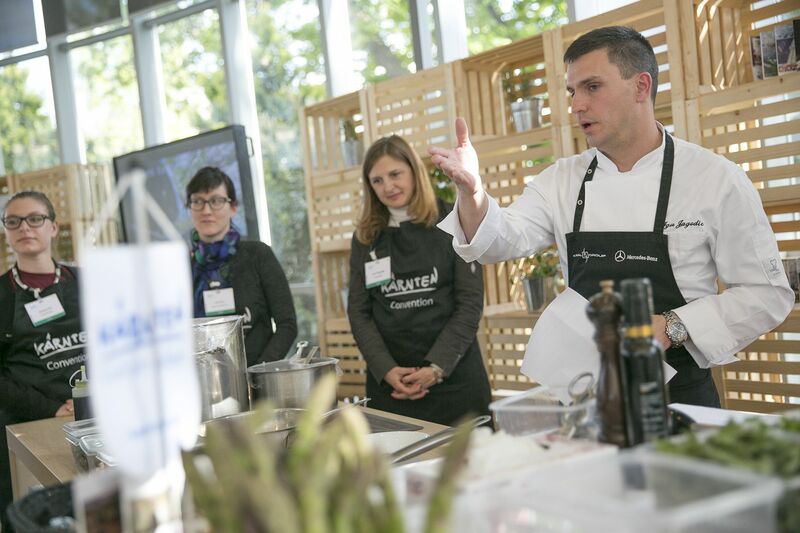 After the preview of Carinthia providers’ event continued in the form of a chefs challenge, led by Thomas Gruber, the chef from Carinthia and Igor Jagodic, the chef from Slovenia. 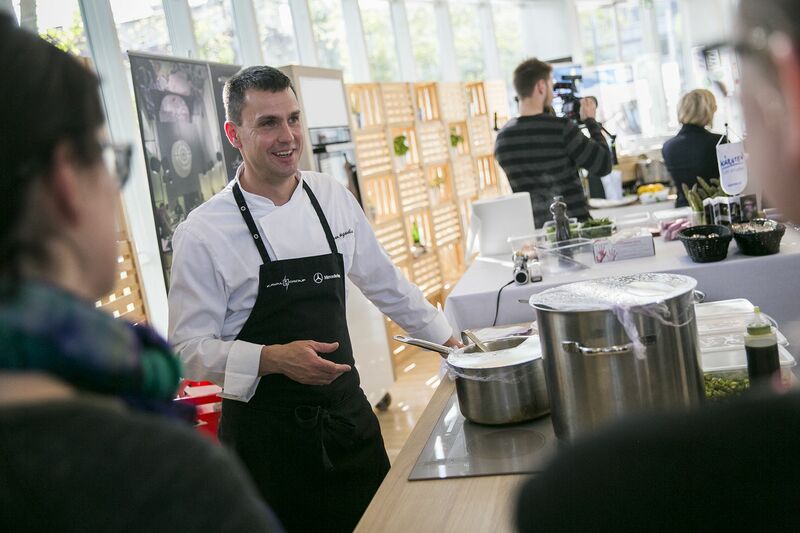 The main characteristic of the “Gasthaus von Thomas Gruber« at the lake Wörthersee is the regional cuisine, where different cultures and genuine dishes, origines from Slovenia, Italy and Carinthia meets. 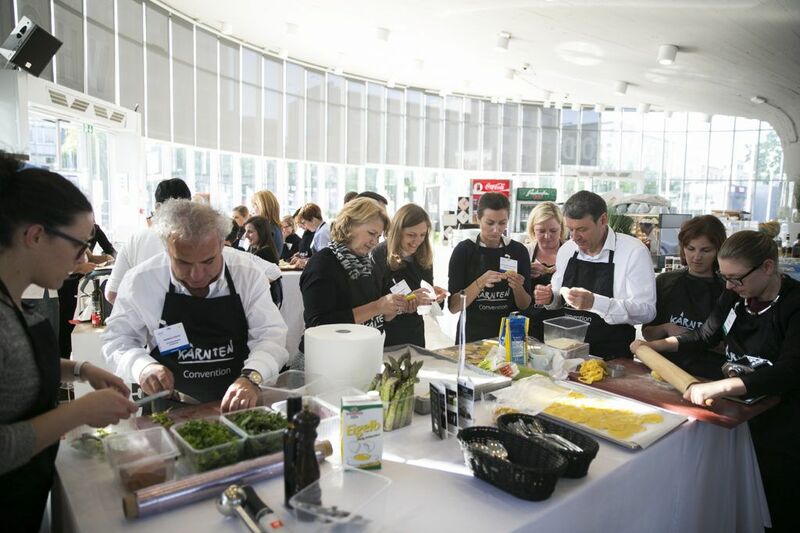 Eating and drinking together becomes the indispensable experience factor. 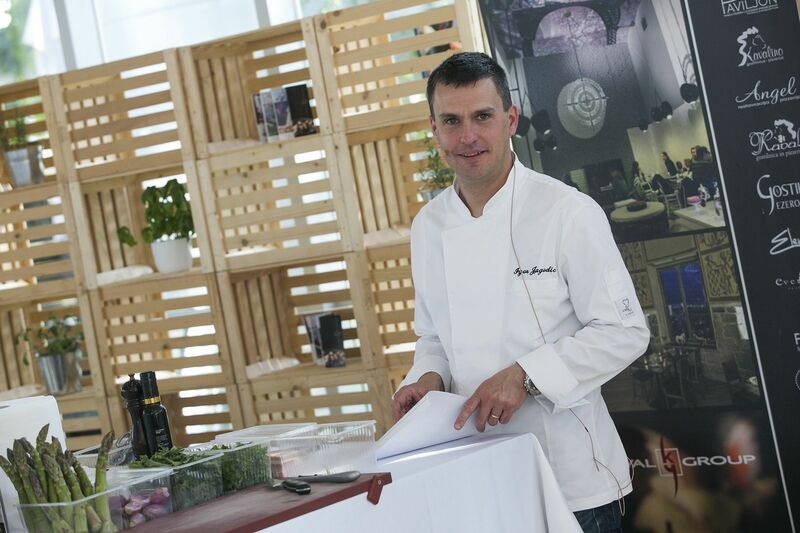 Thomas Gruber is not following the culinary mainstream, so instead of great gourmet menus, you will find there dishes with heart and mind. Igor Jagodic is preparing old, but traditional local Ljubljana dishes in new guises for wealthy foreign and domestic guests from the year 2012 in Restaurant Strelec, located on Ljubljana Castle. 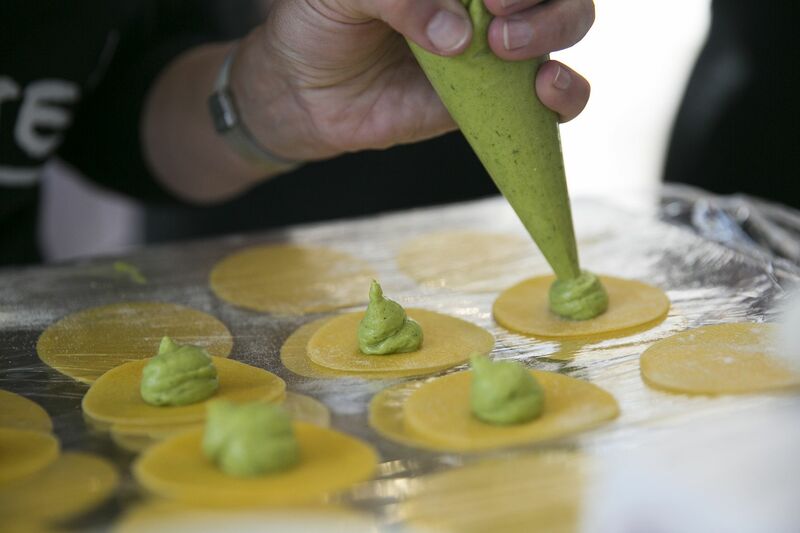 He combines the basics of modern French cuisine with playful colours, local ingredients and mixing flavours. 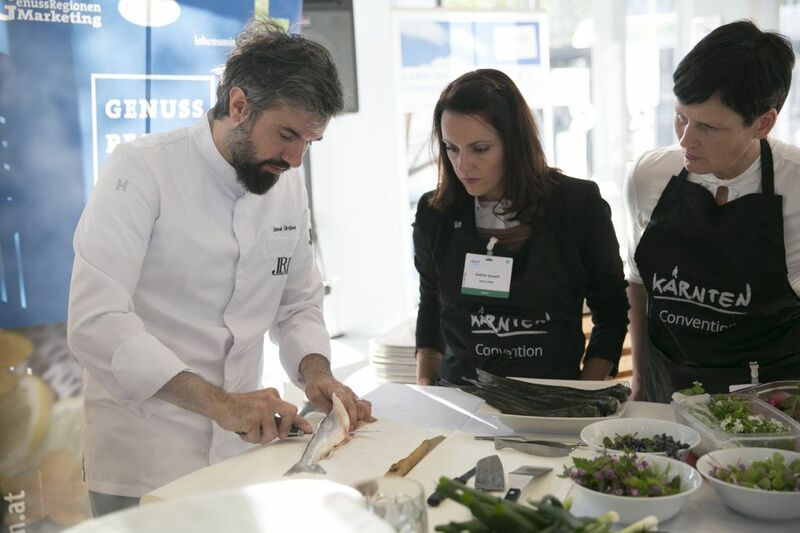 The curiosity led him abroad, from France, Germany to Danish Copenhagen, to the famous restaurant Noma. 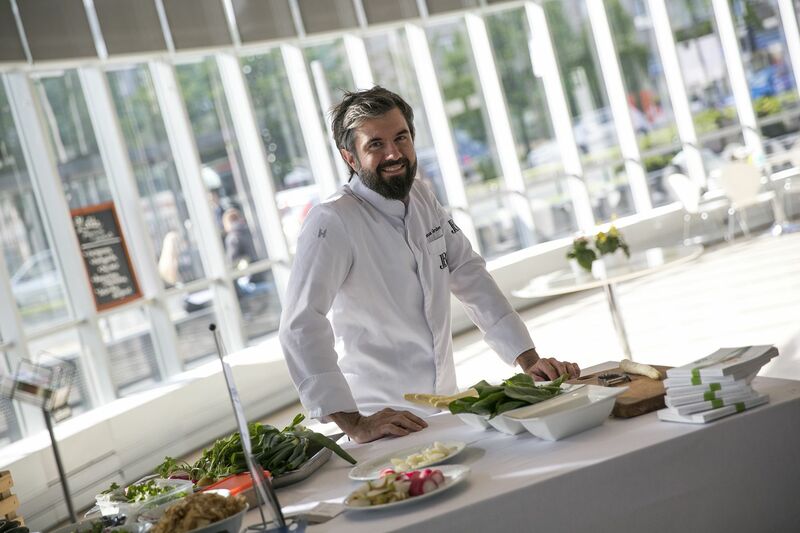 He can pride himself with numerous of culinary awards from competitions in which he participated as a member of the Slovenian chef representative team. 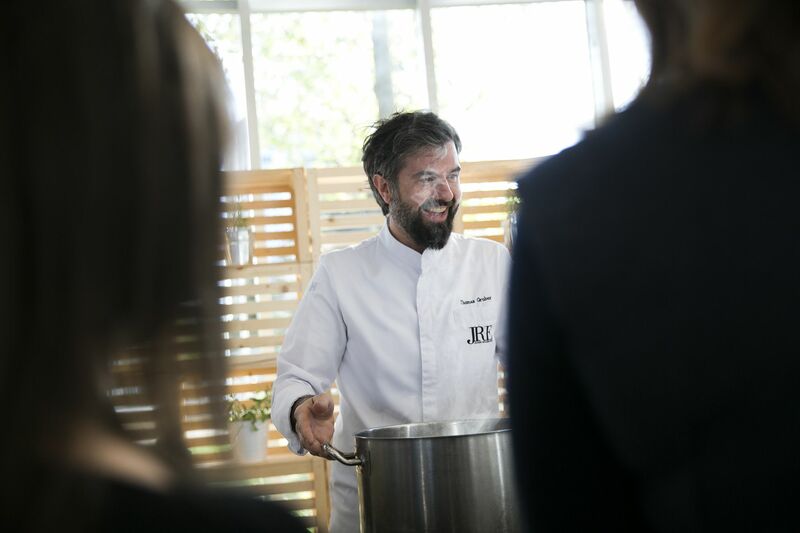 Restaurant Strelec won the selection of best Ljubljana restaurants, rewarded by “Ljubljana quality”, for the second time in a row under his leadership. 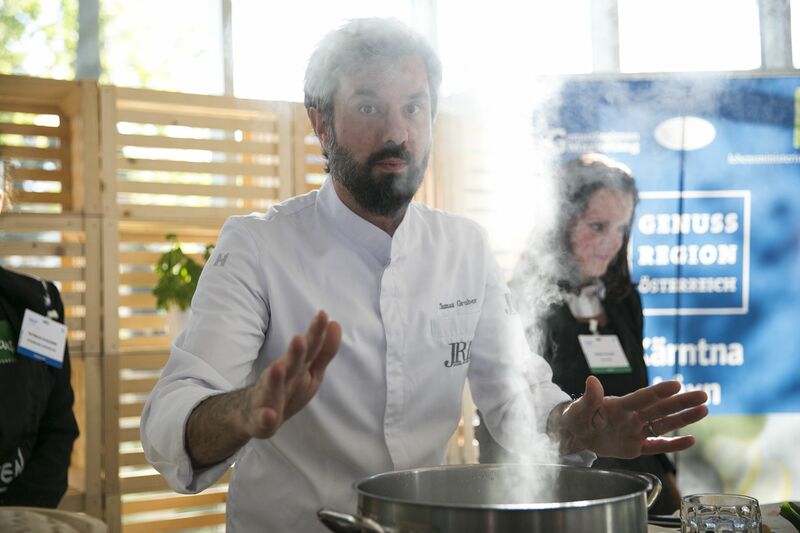 The first event of this kind has impressed the organizers with its innovative concept and the possibility of networking with potential business partners in a relaxed atmosphere. 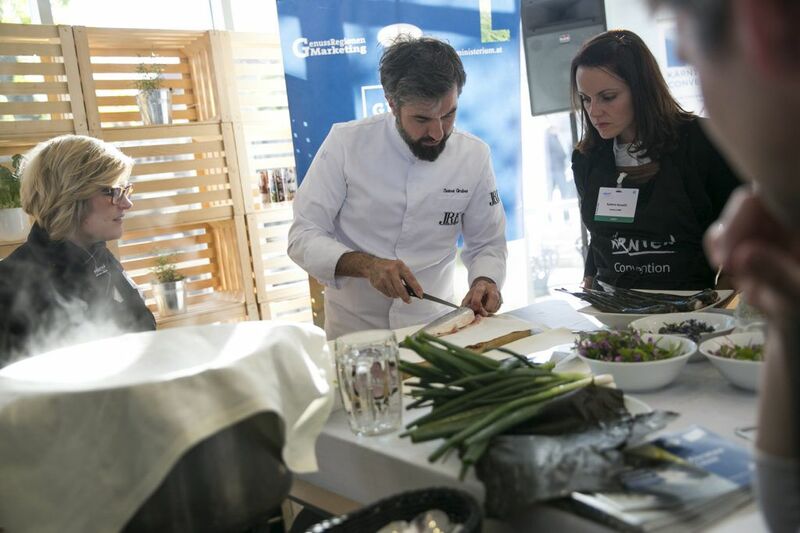 Organizers from Carinthia Convention Bureau were more than satisfied with the event organization, while attendees expressed their craving for having evets of this kind even more in the future. 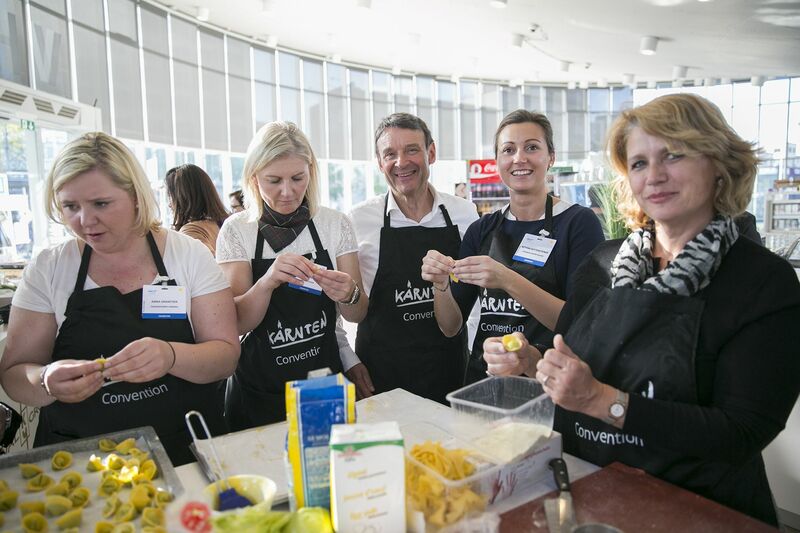 Carinthia Convention Bureau brings together more than 60 members. 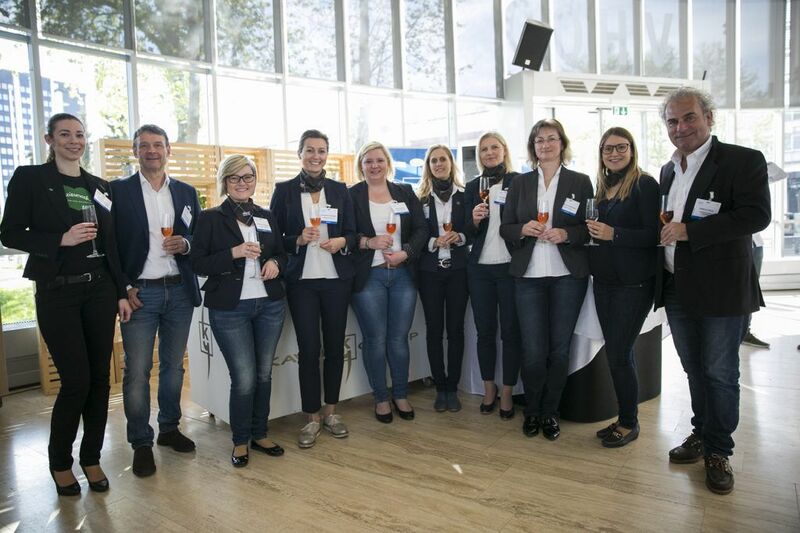 This time selected members presented in Ljubljana: Carinthia Convention, Klagenfurt am Wörthersee, Seepark Hotel, Casino Velden, Seehotel Europa, Convention Bureau Villach, Holiday Inn & Congress Center Villach, Falkensteiner Carinzia and as a partner destination Steiermark Convention. “There are many opportunities for collaboration in the Alpe Adria region and these events are a step forward towards better cooperation. 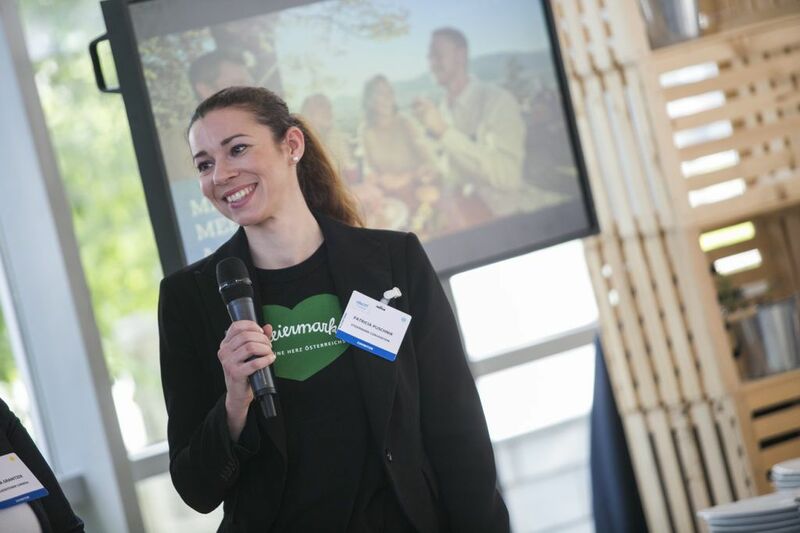 At the same time, they also show a positive thinking and perspective on events that have a more relaxed way of promoting networking among attendees,” said Andreas Grissler, Managing Director of Carinthia Convention Bureau. 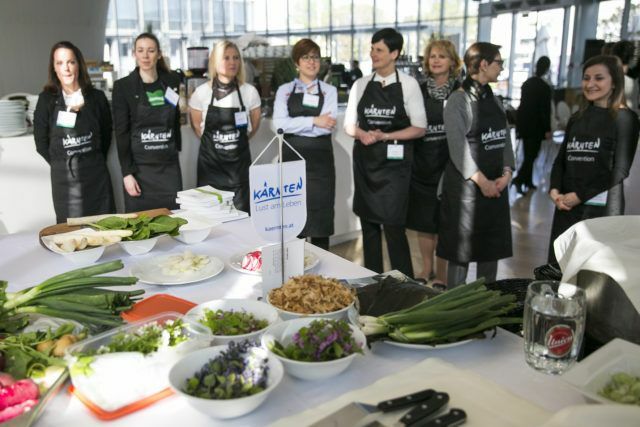 For all of you who missed the event, we have published the recipes for dishes that were prepared in Ljubljana yesterday.